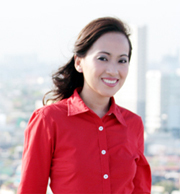 Ms Nguyen Thi Kim Loan, a Journalist with the Business Forum Newspaper based in Ho Chi Minh City, Vietnam garnered the 2008 SEAMEO-Australia Press Award. 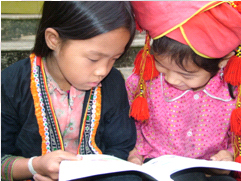 With the theme "Reporting on Reaching the Unreached in Education", Ms Nguyen's winning article presented an inspiring account of the sacrifices of teachers, school officials and the community to ensure that every single child in the mountainous and cold Van Ban District of Lao Cai Province in northern Vietnam receives quality education. In the midst of poverty, the story told of the impressive effort of the school and how it worked with the community to bring into fruition the real essence of and commitment to providing Education for All, including the disadvantaged and the underprivileged. 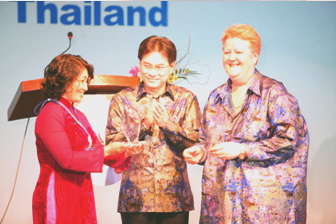 The Award was conferred to Ms Loan by H E Mr Jurin Laksanawisit, SEAMEO Council President and Minister of Education of Thailand; and Ms Anne Reynolds, Counsellor (Education), Australian Education International, Australian Embassy, Bangkok, Thailand in a formal ceremony on the occasion of the 44th SEAMEO Council Conference on 6 April 2009 at the Sheraton Grande Laguna Hotel, Phuket, Thailand. Ms Loan received a plaque of recognition. The Award includes a three-week study visit and internship at the Melbourne Age Newspaper in Australia. 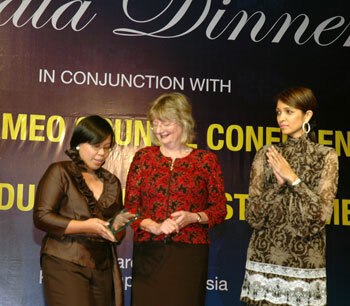 The SEAMEO-Australia Press Award recognizes excellent coverage of education issues by journalists in Southeast Asia. SEAMEO and the Australian Government coordinate to make this recognition possible through the Department of Education, Employment and Workplace Relations and the Australian Education International of the Australian Embassy in Bangkok. Ms Avigail Olarte receives the plaque of recognition on behalf of the winner, Ms Vinia Datinguinoo-Mukherjee of the Philippine Center for investigative Journalism. 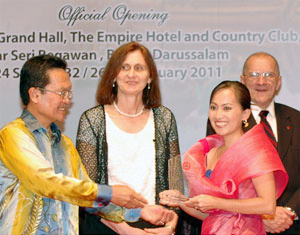 Dr Wendy Jarvie, Deputy Secretary of the Department of Education, Employment and Workplace Relations of Australia, and YM Tengku Datin Seri Marsilla Tengku Abdullah, wife of Malaysian Education Minister Dato Sri Hishammuddin bin Tun Hussein, handed the award during the 43rd SEAMEO Council Conference on 13 March 2008 in Kuala Lumpur. Ms Mukherjee's winning article is entitled, "Muslim Classes Come Alive".